Netizens looks back on actor Lee Yikyung's pitiful(?) reaction seeing his girlfriend Jung Insun's kiss scene with actor Kim Junghyun. Back on March 13th, JTBC aired a special commentary video for romantic comedy drama 'Welcome to Waikiki.' 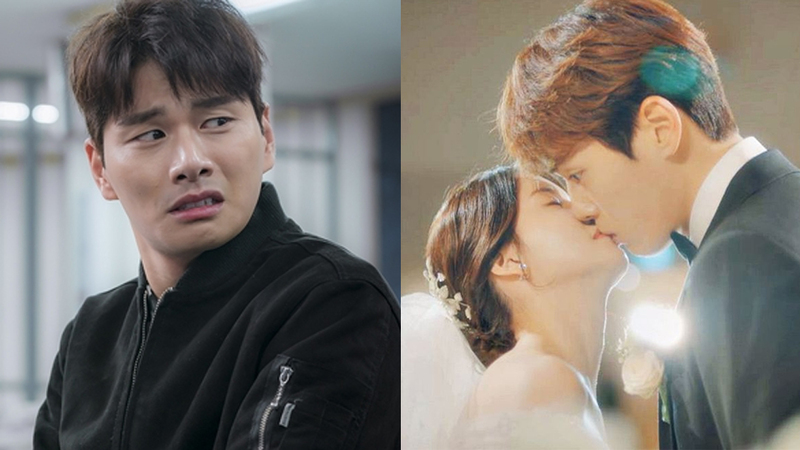 During the second part of the commentary video, all the cast sat down and watch the scene where the two lead characters, Yoonah and Kim Donggu (played by Jung Insun and Kim Junghyun), lock lips at their wedding ceremony. Lee Yikyung was actually smiled but something's strange with it. Of course, at that time, no one suspected anything, because they were only workmates -- not more, not less. However, now that the two confirmed their relationship, fans could have finally known the reason: that Lee Yikyung was not happy seeing his girlfriend having a kiss scene with another man! Anyway, since the two have gone public for their relationship, they must have been relieved now!